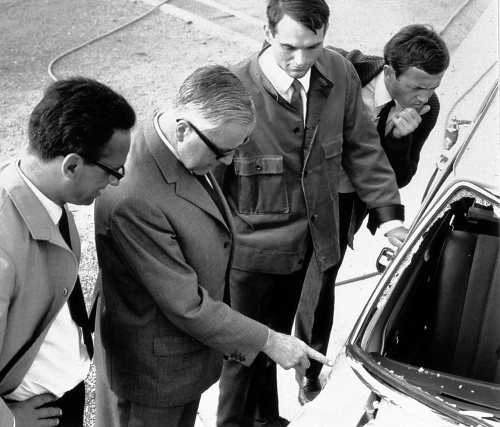 Prof. Fritz Nallinger, chief engineer and member of the Mercedes executive board, asked Rudolf Uhlenhaut (head of passenger car development), Karl Wilfert (head of body development) and Josef Müller (head of engine development) for a meeting to discuss the ponton successor. That was in early 1956. Two things had been agreed already by the board, he told them. The passenger compartment had to be roomier and the launch was set for autumn 1959. Everything else he wanted to discuss with them now. Wilfert and his team lengthened the new car, which received the internal code W111, by 12.5 cm (4.9 in). The width was increased by 5 cm (2 in) and the height reduced by 4.5 cm (1.8 in). 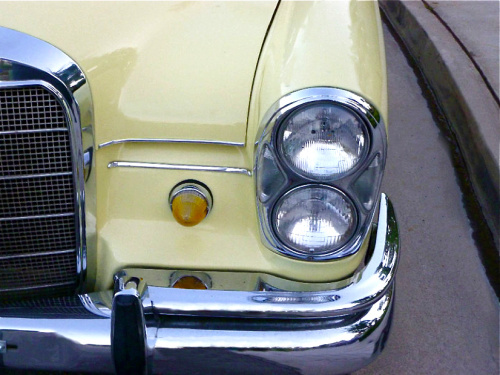 The headlight design was taken from the 300SL roadster. It should become a feature of Mercedes executive cars for the next decade. When looking at the car from the front, it had a dynamic and powerful appearance. But it was not only the passenger compartment that saw an increase in size. Also the trunk was 50% larger than on the ponton model. A larger green house increased overall visibility by some 35%. 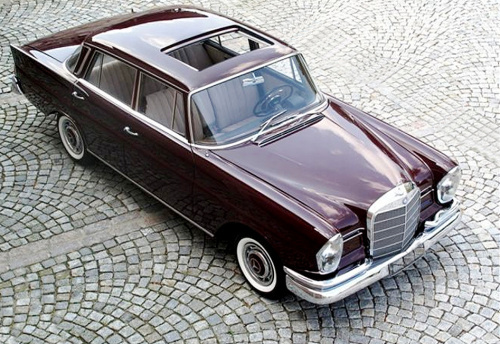 The Mercedes W111 was the first car in the world, where a passenger safety concept was an integral part of the development from the very beginning. Daimler-Benz safety guru Béla Barényi divided the vehicle body into three separate parts. 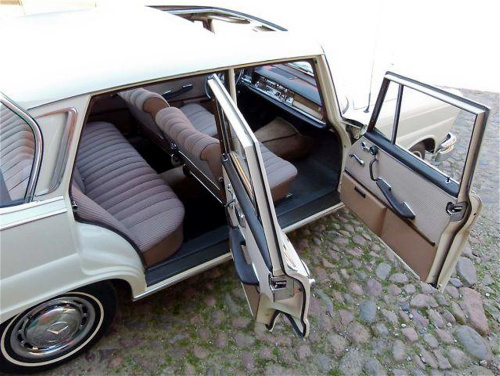 A rigid passenger compartment, plus a soft front and rear end. They were now called crumple zones, as they had to absorb the energy in case of an impact. 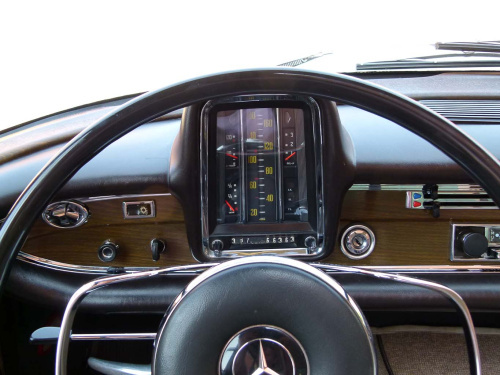 The safety concept was also visible inside the Mercedes W111, as hard, sharp-edged interior fittings had all but disappeared. 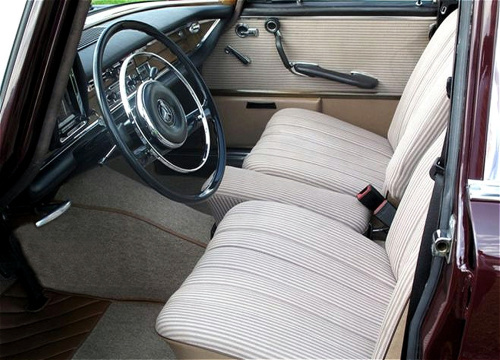 Passengers were surrounded by a thickly padded dashboard, recessed control knobs, padded window surrounds, armrests and sun visors. 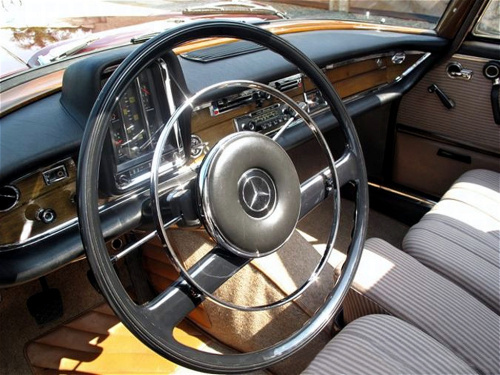 Also a new safety steering wheel and safety column made their debut in the W111 sedan. It collapsed on impact. The export option was high on the executive board’s agenda. So design-wise the car had to appeal to many different markets. The biggest export market was of course the US. So one of the design features was the wrap-around windshield. Another one were the slightly raised tail edges, which later gave the car its nickname: fintail. Shortly before the car’s introduction, Karl Wilfert was not too happy anymore with his American-influenced fins and wanted to abandon them. But it was too late, all necessary tools had already been ordered. 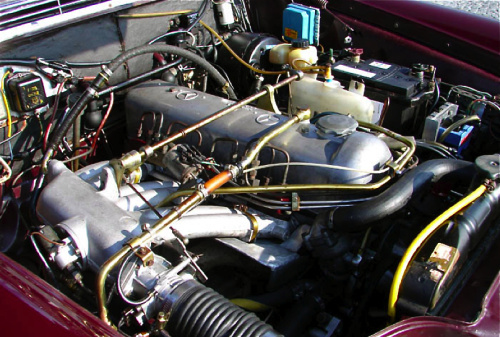 In February 1959, seven months prior to the official launch date, street testing was concluded in a typical Daimler-Benz fashion. Four prototype cars were driven by none other than Fritz Nallinger, Rudolf Uhlenhaut, Karl Wilfert and Josef Müller from Stuttgart south over some steep alpine passes to Napoli in Southern Italy. Then they headed back North, somewhat following the Mille-Miglia route via Rome and Brescia. They crossed the Alpes again and passed Munich before they finally arrived in Stuttgart. Although it must have been quite a challenge for cars and drivers, these gentlemen must have had a great time back then. The sales department was convinced that rallies were a great promotion tool and the prestigious Monte Carlo rally was ideal for such publicity. After all it was the oldest and one of the most prestigious rallies in Europe. The executive board was a bit hesitant initially to support such activities. But at the end three teams were selected for the 1960 Monte Carlo event: the experienced Schock/Moll and the rookies Böhringer/Socher and Mahle/Ott. 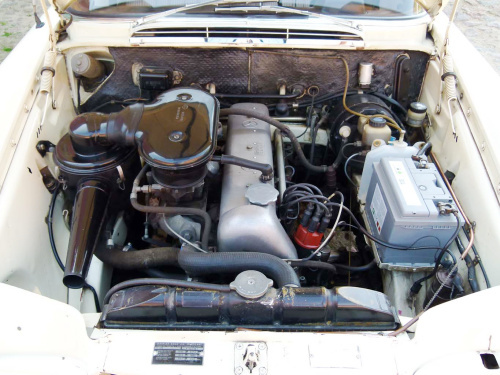 Three people were available for service and technical support, only one of them a mechanic! Each car had two spare tires. 345 teams were at the start line for the rally. As it was customary, they started from various European cities with Monte Carlo being their finish point. Before reaching Monaco, they had to drive some 2,300 km (1,430 miles) across Europe, partly on snow covered roads. 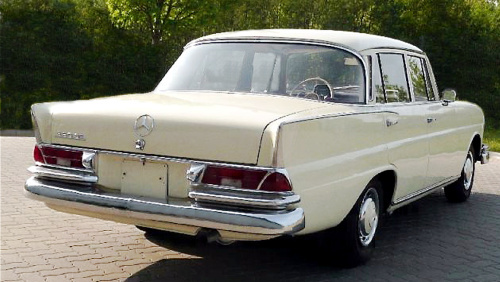 The three Mercedes 220 SE’s started from Warsaw. Technical modifications had been minor. The suspension was lowered, stiffer shocks offered better roadholding and the engine was tuned to deliver 138 instead of the normal 120 hp. When they had reached Monte Carlo, half of their competitots had given up. After counting all points, the Schock/Moll team had managed to win against all odds and much more powerful competitors the grueling rally. But not only that, the rookies were able to finish second and third. 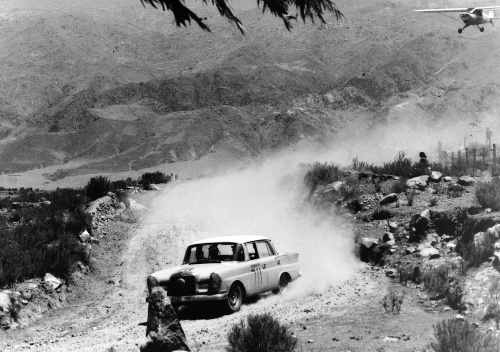 It was the first ever 1-2-3 sweep in the history of the Rally Monte Carlo. Now it was easier to convince the board that rallies were good for publicity and more support was promised to the teams for future such activities. 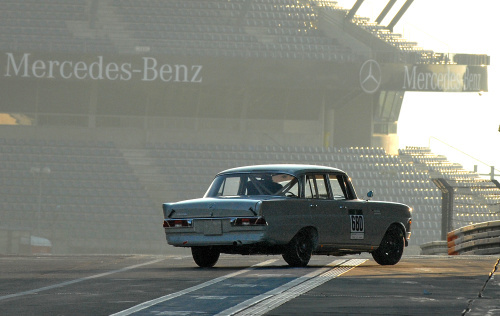 In that year the 220SE won an incredible 117 victories. And Schock/Moll managed to secure the 1960 European championship. Yet more was still to come. 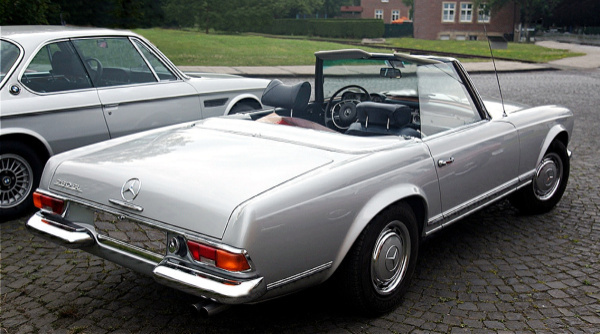 Also sales-wise did the mercedes w111 not disappoint its creators. Both the entry level 220b and the expensive SE sold annually well above 10.000 units. The 220S sold on average more than 25,000 units per annum. From 1959 till 1965 the 220S managed to sell some 161,119 units, while the 220b and SE sold 69,691 and 66,086 units each respectively. 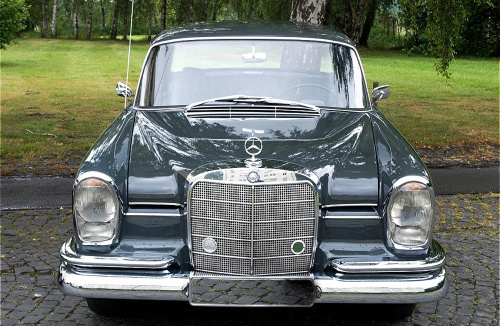 Although the car is seen today not as one of the design milestones of Daimler-Benz, it delivered what it was created for: it became the first successful executive world automobile for Daimler-Benz. 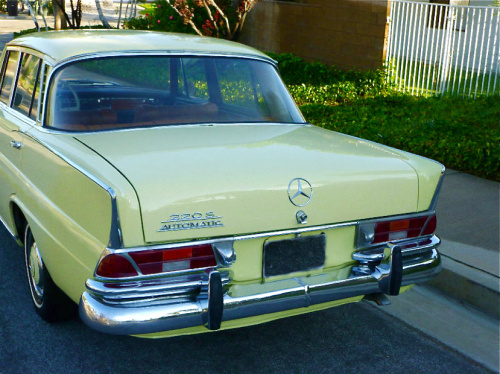 If you want to read much more about the Mercedes W111 and other Mercedes models of the 1950s and 1960s, all of that is covered in my books and e-books and can be ordered from my website. 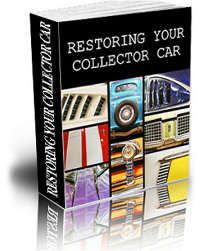 They offer next to the cars’ history the experience to own or drive one of these great vehicles and have plenty of color pictures, most of which have never been published in a book before. I am sure you will enjoy. time and you share very good content. I shared yohr newset article on twitter annd got a lot off good feedbacks. Many thanks for your kind comment and I am sorry that I answer so late. Please enjoy reading my blogs and if you have any further comments, I would be glad to hear from you. your technique of writing a blog. I saved as a favorite it to my bookmark website list and will be checking back soon. Please visit my web site too and tell mme how you feel. Nice to find this since we have a Borduex-red (db516) 220sb -65 since new when My father bought in in July that year..